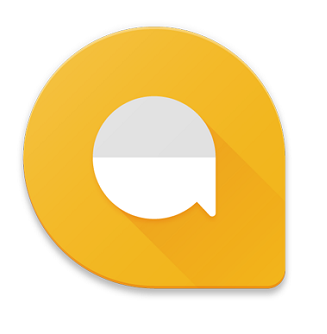 Google has launched its chat app Allo for its android and IOS users. Apart from offering a few intriguing features,the app pits google in a direct competition with Whatsapp. Some of the features of Allo missing in the popular instant messenger Whatsapp which makes Allo stand out of crowd in Chating App. Google Allo is more intelligent and makes uses of latest technology such as machine learning and Artificial Intelligent. Stickers are becoming an important medium of communication. Just like, Line and WeChat Google Allo also offers stickers to make the conversation more expressive.In contrast, WhatsApp seems to be doing pretty well with its minimal feature set. The only thing working for WhatsApp, IMHO, is that it’s already captured 90% of your entire contact list and it’s incredibly hard for anyone to make you give up on all of that. While both Whatsapp and Allo offer end to end encryption for chats, the latter allows for ‘selective end to end encryption’, which means that you can select the contact you want to chat with in incognito mode, through its ‘Incognito Chat’ option. Along with this, the chat history will disappear after you have finished the talk, depending on the expiration period you have set. In case, you have switched off your expiration period, the chats won’t disappear. Of course, WhatsApp has been acquired by Facebook, but Google Allo is a pure Google creation. The intention behind not incorporating features like direct calling or video calls is to redirect users to other Google apps like Duo and Hangouts. yes right, Google Allo is far more better than whatsapp but people have already got used to with whatsapp but some hope is there. Hike also tried the same as google Allo but isn’t successful compared to whatsapp. whatsapp is now trying to keep the users attracted by launching new features every other day! Apart from all this race the one who thought of the idea first for android user will hopefully run the race because now at this time they know what exactly people want!